Give your job search an extra edge with Jobscan's unique algorithm-backed resume and LinkedIn optimization tools. 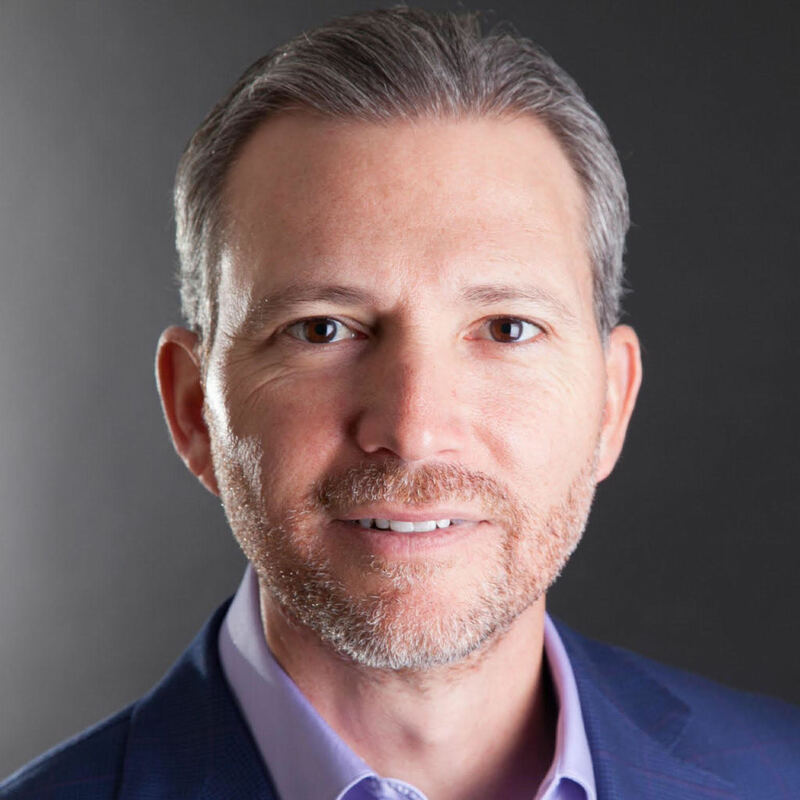 Use the resume, cover letter, and LinkedIn optimization features within Jobscan to make sure your're prepared to get past ATS filters and searches, so that your application is actually being seen by humans. I've combed the universe for tools that give my students' resumes a competitive edge against applicant tracking systems. Based on the results, there is absolutely no better ATS-beater than Jobscan. Try it now to enjoy the high success rate my students are getting! See how well you match a job in 2 seconds. 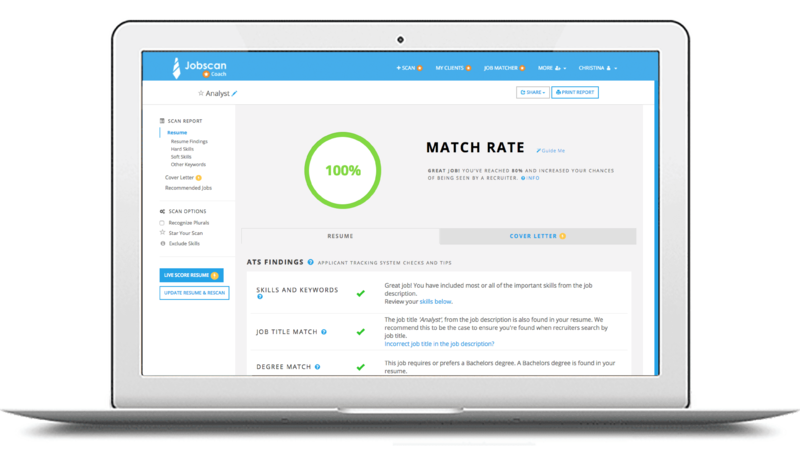 Jobscan uses the similar algorithm ATS use to calculate your match rate based on skill, job title, education, and more. 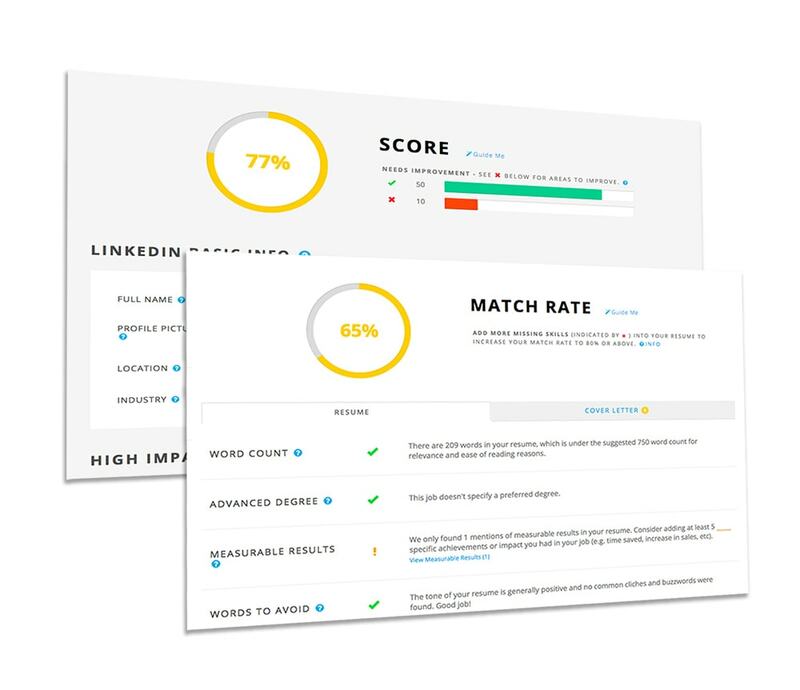 Jobscan scores your LinkedIn profile based on custom keywords, completed fields, and optimized content in your headline, summary, and work experience.